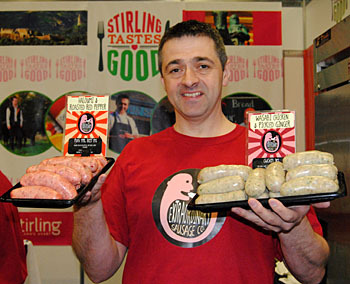 The Industry Breakfast that traditionally kicks off the four day show for many was served Inverness butcher, Duncan Fraser & Son's award winning high meat content beef with tomato and onion sausages. Cabinet Secretary, Richard Lochhead paid tribute to them is his address calling them "wonderful". SFMTA were again delighted to be part of the Quality Meat Scotland Stand where craft butchers were featured showing off their skills to cut up Scotch Beef, Scotch Lamb and Specially Selected Pork. 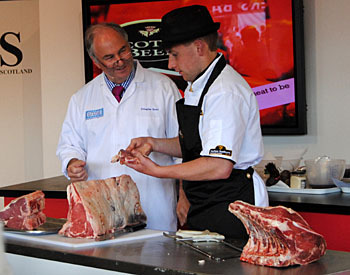 The butchery demonstration on day one was performed by Scottish Young Butcher of the Year, Andrew Peter. 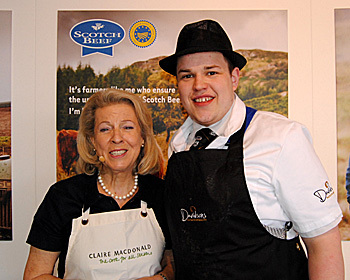 The 21 year old (pictured right) complemented the cookery demonstrations of Lady Claire MacDonald. Andrew showed off his skills as he prepared cuts from a Leg of Scotch Lamb and a Forerib of Scotch Beef. 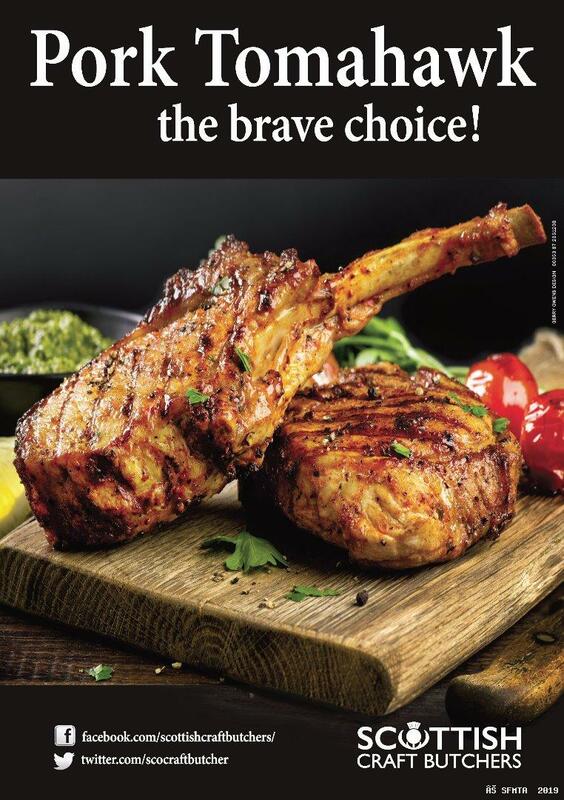 Both cuts came from farm assured North East farms and had been slaughtered at Rhinds of Elgin. 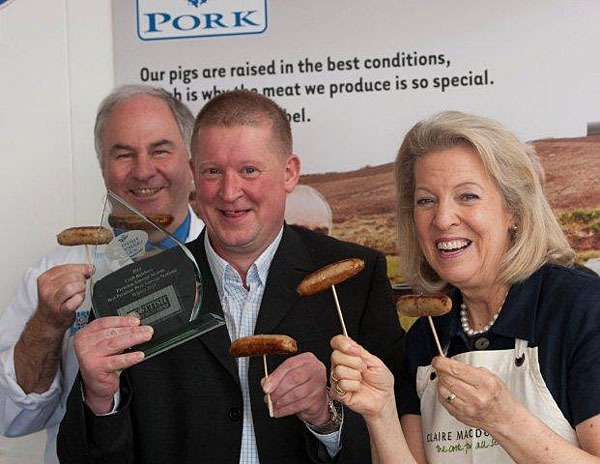 Lady Claire also presented the trophy for the Scottish Butcher Awards Premium Pork Sausages. The winner of this QMS supported competition was Robert Watson of Watsons of Leven with his Pork & Mustard Sausages. Butchery demonstrations on the Friday were made by Scottish Butcher of the Year, Gary Raeburn from Forbes Raeburn & Sons in Huntly. He cut a side of Scotch Lamb and a Scotch Beef Forerib and Sirloin in the afternoon. 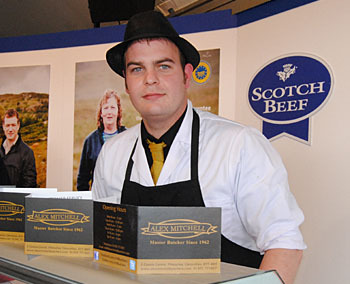 Saturday demonstrations were given by Jamie Syme of Alex Mitchell Butchers in Glenrothes. Jamie was a finalist in the 2013 Meat Skills Scotland competition. He cut up a Popeseye and a Loin of Pork in both his demonstrations. All the craft butchery demonstrations attracted near capacity crowds within the QMS Stand and there is a clear message here that the public appear to have an insatiable demand to learn more about cuts of meat. SFMTA members should take note and think about staging such cutting demonstrations for their own customers. The Federation has a demonstration stand and tables available free of charge to members. You only need to collect from Perth. 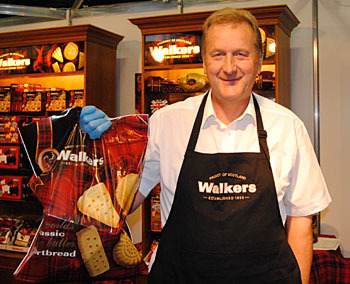 Elsewhere at the Food Hall at the 2013 Royal Highland Show there was a presence from SFMTA members Grants of Speyside, Macbeths of Forres and Cameron Skinner from Kippen with his Extraordinary Sausages and from corporate members Walkers Shortbread.